I don’t think they could not become more or less rotten! They certainly will Never be able to ever redeem themselves, and why would they care? no-one and nothing could ever change their comfortable existence. I don’t think they even care if they have a job after 2015, they never have to work again ever, because they have screwed the whole country in Every way!!! There is and never has been any justice!!! I live in the north, I can smell the rotten corruption here even when the winds north to south. Stinking lying fraudulent cheating self seeking scum they don’t deserve to be allowed to exist much less occupy positions of power. JOANNA they are laughing at us I think the Telegraph should keep this one going until we get a result. I agree, but it still isn’t going to address the fact that the government is above any law! The government could shut down the paper if they wanted to, they have after all eradicated most of our freedoms, so it isn’t so far fetched! She won’t last to Monday lunchtime surely! Did Jeremy Hunt write her apology? 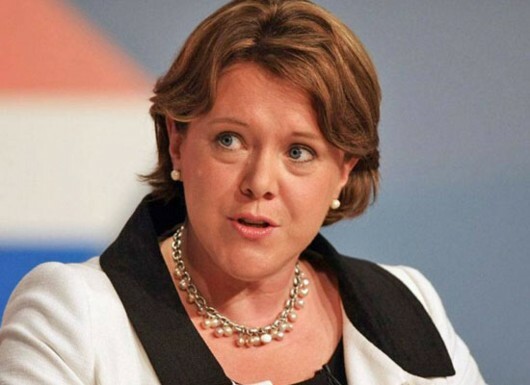 Ian Hislop pointed out last night on Have I Got News For You that this does not augur well for press freedom, as Maria Miller is now in charge of overseeing the press under the new rules. Clearly she sees these regulations as a means of protecting herself, and the fact that Cameron has not sacked her or Oliver because of the threats indicates that he too believes that the political infringement of the freedom of the press is entirely acceptable. Remember – Cameron comes from PR, so he has absolutely no qualms about spin, and the government has already passed the gagging law. Miller’s and Oliver’s threats aren’t just another example of government corruption and the politicians’ double standards, where fraud is only criminal if it’s done by members of the public – the ‘little people’. It’s also another blow against the freedom of the press, as this government gradually chips away at our fundamental freedoms. They told us why, they are all in it together! They lie cheat and steal yet only need apologise and gesticulate! Money for nothing and your rent for free! Now that aint working, thats the way you do it! Mike,how dare you! This Rt Hon MP,all right,3 lies in 3 words.I am knackered! The logic that explains the expense claims must have a team at NASA working 24/7 trying to find plausible excuses….Second Homes? Bedroom Tax? I would love to see a comparison. I started typing and the words just flowed out. Anyway, what’s the problem? You seem to be on the same wavelength as I am. It was Sarcasm,as people claiming JSA/Benefits can be sanctioned perhaps this should also apply for MP’s? I’ve already signed and put it up on Facebook and Twitter, where it has won many responses, but I’m grateful to you, Keith, for publicising it here as well. Parliament makes the rules to protect itself, per se. If the same rules applied to the general public very few in prison. Windy Miller should now be in prison for defrauding the State, let alone the Treasury. It makes you wonder what dirt she has on some fellow high MPs to get away with this fraud and theft. At the end of the day this MP should never be re-elected, like the vast majority should not be, and marked up as a thief, and in any comments she addressed as a fraud and a thief because that is what she is. Ok, let’s now campaign to rid of Craig Oliver, if Cameron starts to lose his bottom feeding supporters he himself will fall eventually.